I can understand that abuse survivors and their families have seen the Church at her worst. So it makes sense that they will have a negative interpretation of the recent Summit and how the proposals will be applied. Once trust is damaged, it’s hard to repair it. The problem is, the obligation to seek out the truth and respond proportionately remains. This means one is not punished on suspicion of wrongdoing, but on evidence. It means that the Church cannot laicize a member of the clergy based on accusations, but evidence. And in the Church, being led on earth by human beings, those investigating can be deceived by those who do evil. So, if one is accused of a heinous crime but no evidence is available to prove it, it is possible that the accused will convince those investigators of his innocence. That doesn’t necessarily mean that the investigators are free of negligence charges. Before the child abuse charges against McCarrick were made public, I had never heard of the “Uncle Ted” accusations. But apparently they were known in his archdiocese [§]. If they were properly reported with evidence, there should have been some sort of investigation that might have stopped this earlier. Abuse victims will reasonably want to know why there was none. I’ve read articles about how survivors were disappointed by the Summit. It seems they wanted more bishops laicized, and were disappointed that the focus was on “talk.” The problem is, this Summit wasn’t an Inquisition or an Ecumenical Council. It was about getting bishops—especially in places that thought abuse was an “American problem” [#]—to understand their duties. We will see a Motu Proprio from the Pope and a Vademecum for confessors aimed at removing false understanding on the obligations for reporting abuse. In other words, the point of the Summit was not vengeance, but on making sure the bishops know their jobs in preventing future abuser priests from getting away with a vile evil—especially before they become bishops. No doubt there are bishops out there who covered up. No doubt there are priests who abused. There may be more bishops who did what McCarrick or Apuron did. The Church will have to find them to make sure justice is done. Some of them may escape detection, but God is not mocked (Galatians 6:7). Even so, we must remember that we cannot assume from the guilt of some that all are guilty of abuse. We cannot assume from the fact that some covered up that all are guilty of coverups. That is the Fallacy of Hasty Generalization. The bishops who did not cover up should not be targeted. Bishops who used sincere but bad judgment should not be treated like those who deliberately chose wrong. We certainly cannot defrock by quota. Ultimately, this is something where we must provide justice for the victims... but that justice must never be allowed to turn into vengeance. If vengeance is misperceived as justice, the Church cannot grant that any more than she can treat laxity as mercy. We certainly should pray for the Pope and bishops that they find the way to meet God’s requirements of justice and mercy without them being corrupted. [§] The question, of course, is how well they were known outside the archdiocese. Who was informed, and with what evidence? [#] That error is understandable. With the majority of reported cases coming from the United States and Western Europe, it was easy to think of it as a “Western problem.” Even I thought that way once—and more recently than I want to admit. Sadly, many of our people, not just those abused or parents of the abused, but the faithful at large are wondering if we the leaders of the Church fully understand this reality, particularly when they see little care given to abused children, or even worse, when it is covered up to protect the abuser or the institution. They are asking themselves, “If church leaders could act with so little care in giving pastoral attention in such obvious cases of a child being sexually molested, does that not reveal how detached they are from us as parents who treasure our children as the light of our lives? Can we really expect our leaders to care about us and our children in the ordinary circumstances of life, if they responded so callously in cases that would alarm any reasonable person?” This is the source of the growing mistrust in our leadership, not to mention the outrage of our people. —Cardinal Cupich. Feb 22 2019. Cardinal Cupich raised a good point at the Summit in Rome. If bishops didn’t give justice to the victims of abuse and their families, how are they to trust the bishops to guide them in the faith. It’s a question that cannot be dismissed. The fact is some bishops were given the task of providing justice in the face of a vile evil and, for whatever reason, failed to provide that justice and allowed the predators get away with a horrific crime. The faithful need justice and they need to be able to know this will never happen again. This is a legitimate demand. Unfortunately, intermingled with the demand for justice, is the demand for vengeance and scapegoats. These people are not saying “Bishop X was informed of this case of abuse and did nothing to protect children from future abuse.” They’re saying “All the bishops must have known. Therefore they’re all guilty and need to be laicized.” This is not a legitimate demand. In some cases it seems to reach the point of accusing Popes and bishops, without evidence, based on their ideological views... as if only people on the “other side” can be guilty. Justice can be defined as acting or being in conformity with what is morally upright or good, giving what is due. Vengeance, on the other hand, can be defined as retaliation for an injury or offense. The problem is, vengeance often focuses on retaliation without concern for whether the punishment is just. But even when the Church failed to be just in the past, that doesn’t allow the faithful to demand retaliation that is unjust. 14. The right to defence: the principle of natural and canon law of presumption of innocence must also be safeguarded until the guilt of the accused is proven. Therefore, it is necessary to prevent the lists of the accused being published, even by the dioceses, before the preliminary investigation and the definitive condemnation. These are principles recognized in most free nations: You’re presumed innocent until proven guilty and if you’re guilty, the punishment must be proportional to the crime. Now Cardinal Cupich, as cited above, rightly pointed out that the victims and families have a right to be concerned about whether the bishops will fail to provide justice based on past results. People who don’t trust the bishops after discovering all the cases that were not disclosed will no doubt fear that this is more of the same. But even so, we cannot respond to an injustice to the victims with injustice to the accused. So any reforms to the system cannot violate these principles to make it easier to punish. Even though there are a number of credible cases out there, we cannot assume all cases are true without proof. Some accusations may be false, and if it is, allowing that priest to be treated like a criminal would be unjust. 43 “You have heard that it was said, ‘You shall love your neighbor and hate your enemy.’ 44 But I say to you, love your enemies, and pray for those who persecute you, 45 that you may be children of your heavenly Father, for he makes his sun rise on the bad and the good, and causes rain to fall on the just and the unjust. 46 For if you love those who love you, what recompense will you have? Do not the tax collectors do the same? 47 And if you greet your brothers only, what is unusual about that? Do not the pagans do the same? 48 So be perfect, just as your heavenly Father is perfect. That doesn’t mean “be a doormat,” giving the evildoers a free pass. But it means we cannot be unjust or hateful to those who wronged us. We’re called to administer justice in a way that seeks their salvation, even when we’re tempted to consign them to hell. I’m not saying that this will be easy. We should not have to suffer injustice at the hands of the shepherds of the Church. But, since the Church is a Church of sinful humans, not angels, injustice will happen. So, responding in a Christian manner is necessary. So what do we do? I think we need to pray for the Pope and bishops involved. If we’re troubled by a proposal, perhaps we should be praying, “Lord, if this is unjust, give them the wisdom to see it. And if I am mistaken, please give me the wisdom to see it.” If we are angry, perhaps we should pray, Lord, if my anger is wrathful, give me the strength to let go.” Ultimately, we are praying both for the Summit to do God’s will and for us to do God’s will if we are mistaken. If we don’t do that, we risk acting from vengeance, not justice. And that will be acting against God’s will. As the abuse summit moves forward, we will see many people calling for different solutions. Some of them will be reasonable. Others will not. The difference is ultimately one of whether the demand recognizes what the Church can legitimately do. The Church cannot change her doctrine. The Church cannot do evil so good may come of it. Any demands along this line are doomed to failure. The Church cannot remove evil from her midst by decree. If she could, St. Peter probably would have done that the day after Pentecost in AD 33. The weeds will remain among the wheat (see Matthew 13:24-30) [§]. And that’s why the Church cannot forget her obligation to be God’s chosen means to bring salvation into the world. As much as the actions of men like McCarrick disgust us, we are not freed from our obligations to seek their salvation. This is difficult and painful. I can’t claim to know what victims and their family members went through. I certainly can’t say, “Well, I would have handled it better.” For all I know, I might have responded to it much worse if I had been in their place. In my opinion, I think it is reasonable to expect that the Church establish policies that handle bishops who abuse or are culpably silent. I think it’s reasonable to expect that the Church take complaints of abuse seriously. But if our preferred ways of doing this go against what the Church can or must do, we will be disappointed. We must obey God’s teachings. God remains in control of His Church, even when some of those who shepherd us fail, or even do evil. Cleaning out this vile evil may take years, or even decades after the summit ends—those who did or willingly turned a blind eye to evil will no doubt try to hide the fact, making it as difficult as possible to discover—but it will be done. [§] That doesn’t mean being passive in the face of injustice. The fact that we can’t violently uproot the suspected weeds (exact God’s Judgment for Him) does not mean we must let evil go unchecked. Let’s be clear on something. The Abuse Summit being held in the Vatican is not going to be an Inquisition. It’s not going to drag McCarrick before the body in chains. Bishops won’t be forced to accuse themselves of covering up or being part of a “homosexual cabal.” There won’t be an auto da fé. It won’t be an ecumenical council either. We won’t see the summit drastically changing Church disciplines or teachings. Anyone expecting this (especially the “Summit will be a failure unless they do X” crowd) will be disappointed. What there will be is a meeting aimed at making the bishops aware of their obligations in the face of reports of abuse, and making clear that this is not just an “American (or western) problem.” There will be discussion of what worked or failed to work. There will be listening to victims. And there will be prayer. The success or failure will not be in what is said and done. It will be in what each country’s bishops do in response. Notice the vast difference between the two visions. It seems like some people who hate the Pope and some people who want the Church to drastically change her teachings in general are setting expectations that they know will not be met so they can claim failure and allege “coverup” as the reason. But there are things we need to do to prepare for the summit. First, we need to realize that when corruption festers, it takes years, even decades to clean up. That’s because we not only have to track down people responsible, but also identify and correct those false ideas that might have led people to think that staying silent was a legitimate option. This means educating Catholics about the difference between being faithful to the Church and being silent because a member of the clergy abuses his authority by abuse or coverup. Technically, if these canons had been followed by all parties, this could have prevented McCarrick from getting away with his crimes for so long. Unfortunately, these canons didn’t understand the victim might be unable to overcome trauma and shame to come forward. Nor did it allow for the possibility that those who were supposed to pass that information on would fail to carry out their duties. It was also assumed that an abuser priest acted out of attraction to a specific person, and moving the priest away from that victim would end the problem. These assumptions were obviously wrong, and probably added to the sense of suffering for the victims. So, we can see it’s not a case of “the Church became lax after Vatican II.” We can’t just “go back,” because the known cases from the 1930s until Vatican II happened during this supposed strong period. What the Church is doing now is recognizing where procedures for dealing with these accusations have been ineffective, and working on sharing where the procedures have succeeded. And in some cases they have. In the United States, the of number of cases peaked in the 1980s, and then began to decline. Since 2002, after the Dallas Accords, new cases of abuse have fallen sharply. The new revelations of priests who abused and bishops who covered up were not recent cases. They were old cases recently uncovered [§]. Yes, they should have been revealed when the other cases were discovered. Yes, this lack of disclosure seriously damaged the faithful’s trust in the Magisterium of the Church. Bishops who sincerely believed the advice from psychiatrists that the priest should be moved. Bishops who succeeded the bishop who made the decision, not knowing about the problem. Bishops who assumed that their predecessors had properly dealt with any problems. Bishops who proactively try to root out problems when they become aware of them [@]. None of those groups of bishops covered up, and should not be punished as if they did. So when people say the bishops instead of some bishops, that response is unjust. No matter how vile the crime, the person who is not guilty is not guilty. So, yes, call for justice. It’s your right under canon 212—so long as you do it reverently, and give religious submission of intellect and will to the teaching authority of the Church. But don’t call for vengeance or scapegoats. That’s incompatible with our faith. Please keep these things in mind as the media reports (and probably misreports) on the Summit. Remember what they are attempting to do, and judge the summit on that. [§] In the Pennsylvania report, the number of cases that were not past the statute of limitations was in the low single digits. [@] After discovering he was misinformed about the Barrios case, Pope Francis was solidly in this camp. Others are false prophets because of a false intention. But what is the true intention of a prophet? Surely, the benefit of the people. Hence the Apostle says in 1 Cor 14:13: “Someone who prophesies speaks to the people for the sake of their advancement, exhortation, and consolation.” He speaks for the sake of their advancement, so that he renders them devout [cf. Ps 76:12]; for the sake of their exhortation, so that he renders them ready and willing in good works; and for the sake of their consolation, so that he renders them patient in adversities. If anyone seeks from his teaching something else than the benefit of the people, he is a false prophet. I find the words of St. Thomas Aquinas appropriate in dealing with these times. We have people who claim that the Church has fallen into error and is not to be trusted—even though the Church is “the pillar and foundation of truth” [1 Timothy 3:15 (NABRE)]. They do not speak in a way that makes the faithful devout, ready to do good works, and patient in adversity. They speak in a way that makes us rebellious, judging who is worthy of our works, and impatient with the existence of sin and weakness. These people may have good intentions, but they are still leading people away from what benefits them. Therefore they are false prophets. We know that the Church is established by Christ (Matthew 16:18) and teaches through His authority (Luke 10:16). We know that The Lord does not take kindly to those who try to set up a counter magisterium (Numbers 16:1-35). Yet these false prophets exist. They try to undermine trust in the Church and the rock on which Christ builds it. “The Pope speaks unclearly and causes confusion!” they say. Does he? Or is it a case of those who despise him twisting his words to the worst possible way to “prove” their point? Perhaps it is time to start asking questions about the critics who make these attacks. Are their attacks building up the Church and encouraging her mission to go convert the world? Quite the opposite. These false prophets are encouraging mistrust, focusing on factions and saying we must disobey those successors to the Apostles. Are these attacks bringing sinners back to the Church? No. In fact, they cheer the concept of a “smaller Church” that expels anyone less holy than them. Do they help us to be patient in trials? No, they point to these trials as “proof” that the Church errs. So why are we giving them so much attention and credibility? 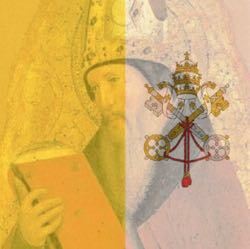 If we profess to believe that the One, Holy, Catholic, and Apostolic Church was established by Christ, and we believe that the Catholic Church under the Successor of Peter is that Church, then we heed the teaching of that Church. Think about that. “Whoever despises them despises Christ.” Then think of the Catholics who attack these successors. Should we listen to them? Or should we listen to the successors of the Apostles in communion with the Pope. We know what The Lord said. We know He promised to protect His Church. We will have no excuse if we ignore the Church and listen to the false prophets.